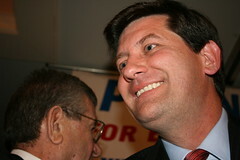 Over the weekend, we inaugurated a new County Executive, Mark Poloncarz. After four years of being told that government needed to be run like a business, Poloncarz reminded us of government’s true reason for being. A government isn’t a business, and shouldn’t be run like one. It exists to serve its constituents; its people. It exists exactly to provide services that the private sector cannot – or will not – provide to meet the needs of its people. It exists not to serve a small elite, but those with the least influence. This order requires the Erie County Attorney to immediate commence a process to procure the services of special counsel to support the upcoming lease negotiations with the Buffalo Bills through the issuance of a Request for Proposals from qualified law firms. This order requires the Commissioner of the Department of Social Services, in conjunction with the County Attorney’s Office and the Erie County Comptroller’s Office, to recommend the methods and procedures to create a Medicaid Anti-Fraud Task Force. As Comptroller, Poloncarz issued a review (6/17/2009) examining Erie County’s anti-fraud initiatives and expressing concern over the County’s lack of progress in recovering funds from providers engaging in fraud. This order requires every employee of Erie County, including the Deputy County Executive, commissioners, deputy commissioners and other exempt employees to abide by Erie County’s electronic time keeping “swipe card” system policy as stated in the Erie County Personnel Policies and Procedures Manual. As Comptroller, Poloncarz issued two separate reviews (7/15/2009 and 8/11/2011) of the swipe card system, which noted that prior administrations had exempted commissioners, deputy commissioners and senior staff from adhering to the policy. This order requires the Director of the Erie County Equal Employment Opportunity Office to review and update the Erie County Affirmative Action Manual to bring it into compliance with current law and practices. This manual has not been updated since 1981. This order requires the Erie County Attorney to conduct a study and submit a report on the use of retained counsel by Erie County. So, Prince Poloncarz is in, rumor has it he is going after anyone associated with Collins with a vengence, too bad we can’t all work together. Good luck law firm drop out. Well money out the window, Sounds like you, or one of your cousins, might be one of those over paid, do nothing, unqualified, post pubescent skirt chasers who fell into a 6 figure salary at county hall because of a personnel connection to Collins. Either that or you could say 6 sigma with a straight face. Just curious, R U about to be shown the door, or the window for that matter? I am not, but those people will be replaced by the same salaried “do nothings” you are referring to, just different kin I guess. He is already out of his league and the union a-wipes are looking for payback, all the buckets of money that were hidden were suppose to be brought out, but there are none. Let the Prince’s reign begin. Wow. He’s out of his league just 2 days in. Fascinating. First changeover of CE political party since 2000, there’s gonna be some turnover. And you know that because? Let’s see …because You’ve been sitting there for two effen hours waiting for someone to comment? Nice job you have. You must be a 6 sigma efficiency expert. I work in the private sector and have my computer on and in front of me all day, so if I take a second to see who has made a dumb response to my post, no big deal. As far as two days into he job, let’s face it, he has been running for this job and trying to appear in the job for years. My point is simple, he is acting like a paranoid freak and trying to shake out anyone he thinks has anything to do with Collins, too bad because everyone appointed by, or happened to get a job under the Collins time, does not mean they were/are good at what they do, but they will be out. He has shown his lack of reaching across the table. My prediction is simple, in about 6 mos. he will disappear into his office and rule through calls and emails, he will not be able to take the heat, he is the Prince. Lets see–we’ve sworn in the candidate elected with large cash and “in kind” support from SEIU and Acorn; the Exec-elect who held his appointee interviews in the Union Hall; the Exec-elect who promptly promised to add 400 employees to the County payroll. Looks like we’re back to WNY business as usual. OHHH. Money out the window. You have a computer at work,… now aren’t you special. And no doubt you use the word ‘work’ lightly’. It must have bugged you all day to wait as long as you did aka web stalker. As far as dumb I would say your daft unsubstantiated comment wins a pulitzer. By the way is your other name Frank or Ward. Hey salty breath…I am my own man. You hate to hear the truth. It’s terrible when everyone doesn’t speak DEM on this site. I nominate you as hand TOOL. Because no one else but me has a problem with the already breathtaking influence of the unions on this guy? 2) like the children that they are, they will then turn on him, as a child to a parent that did not bend to their every selfish need. Seriously you seem like you’ve lost your marbles especially with that last manifesto. Now is it in the realm of possibility that those avatars belong to different people when they sign in within minutes of each other. Hurry up sign on under the other one and comment again. you don’t take long do you? blog something of value, you waste words. Salty boy…did you stay up all night locked to your computer screen? Go back to watching the clock at the Rath Building. There nothing but DEM joy there. Nothing is getting done. Pathetic, you have to steal someone elses lines. And still signing on under different names. Either that or your 2 Fubus.Guess you just couldn’t wait till 10:00 to make it look random. Is this speech available anywhere in a form where text can be copied from it? With the Scribd document, all I’m getting are control characters upon pasting.